Linda's flight left at about 2 p.m. from Minneapolis and took her to Philadelphia. From there, U.S. Air flies directly to Lisbon. 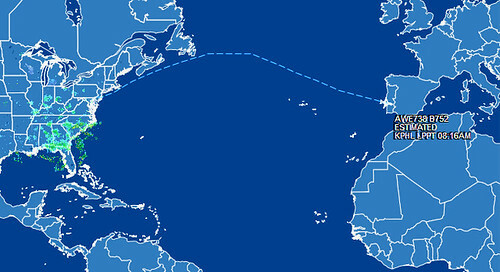 The actual trans-Atlantic flight is only about six and a half hours as compared to our usual seven and a half or eight hours to Amsterdam or Paris. She left just about on time, although after spending about a half hour on the taxiways before takeoff. 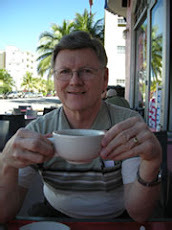 I tracked the flight on FlightAware.com Here are the top flight tracking websites. 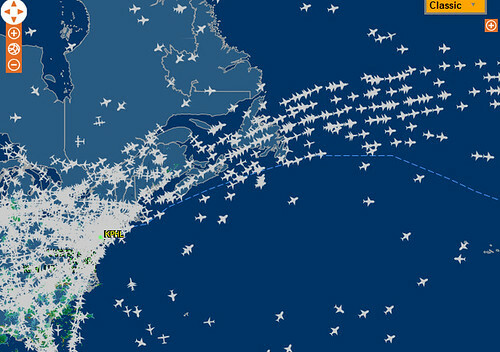 Her plane joins the large contingent of flights that cross the Atlantic from West to East every night. Her plane will be staying south of most of them. Flight Tracker loses real-time tracking about three hours into the flight and provides only estimated data until the plane lands. After six hours and eleven minutes, Flight Aware confirms that she has arrived. I'm still waiting for a text message from her but I know she is on the ground. The delay in texting her arrival was due to a long passport line. Linda and her "traveling ladies" are headed for Portugal this evening. I took Linda and one friend to the Minneapolis airport late this morning. Well, it's really Minneapolis St. Paul International, (MSP) but if you get a nickle every time someone says that, you are never going to be rich. I only travel a couple of times a year so I have missed out on the latest woe to befall our beloved Minneapolis airport. It seems that on most Tuesdays and Wednesdays, there is no parking available at Terminal 1. This leaves you three and a half miles from the parking lot at Terminal 2. That is three and a half miles plus some elevators, escalators, a train and a tram to get back. Good luck. I hope you left early. Obviously, with the charter terminal having a name, the main terminal had to have one too. So the best known Minnesota aviator, Charles Lindbergh, got the call. All of this took place in 1985. Every 40-year old man on the naming commission (we didn't have women back then) had seen Jimmy Stewart play Lindbergh in The Spirit of St. Louis as a twelve-year old. It was a no-brainer! Alas, it is now 2014. 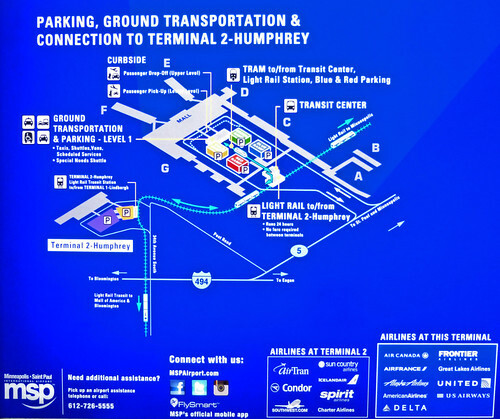 No one can remember who is more famous, and thereby entitled to the bigger terminal, Humphrey or Lindbergh. In fact, if you ask a Gen-Xer who either of them are you will be lucky if you only get, "beats me!" Our guv'ment geniuses solved this problem by spending 1 (or 2.2 depending on what you read) million dollars renaming the terminals 1 and 2. The earlier dilemma was highlighted in this NBC news article. So the signs on the road now direct you to those two terminals. Problem solved? Not really. I guess the airport commission folks don't travel much - or are not very observant. The key to useful signage in most other cities is not having simple, memorable names like 1 and 2 or A and B. It is having the little United, Delta, American, etc. logos up on the sign. 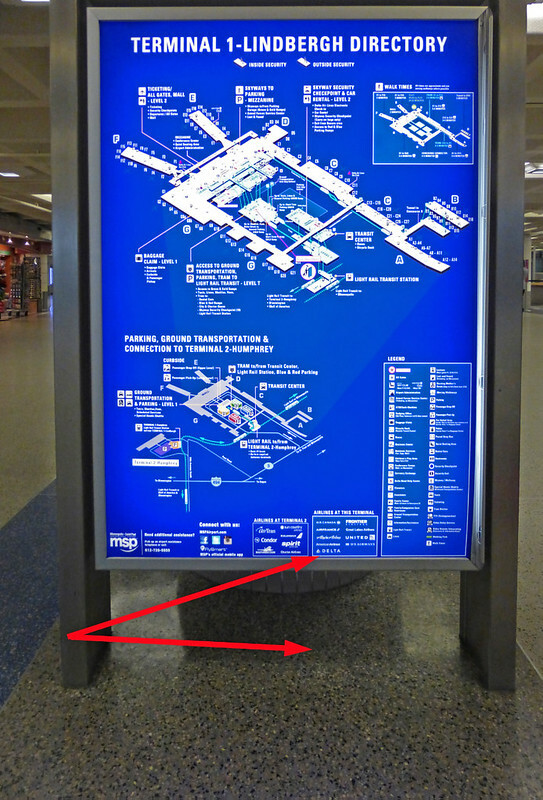 If you just got off the tram at the airport in Terminal 1 and want to know what airlines are at this terminal (and why on earth would anyone want to know that!) you just get down on your hands and knees and look at this sign, fourteen inches off the floor. What!!!!! And, did you notice the map legend on the lower right side of the first picture? There are 49 different icons defined. Let's celebrate the new "in" word and call this an iconic disaster. I leave it as an exercise for the reader to see if all 49 of the icons are actually used on the map.